Rent a GoPro Camera during your trip. Note: This item must be added to your trip before your arrival. Please let us know if you need transport from your Hotel to Wave Expeditions office. Please let us know if you need transport from Wave Expeditions office to your Hotel after the tour. 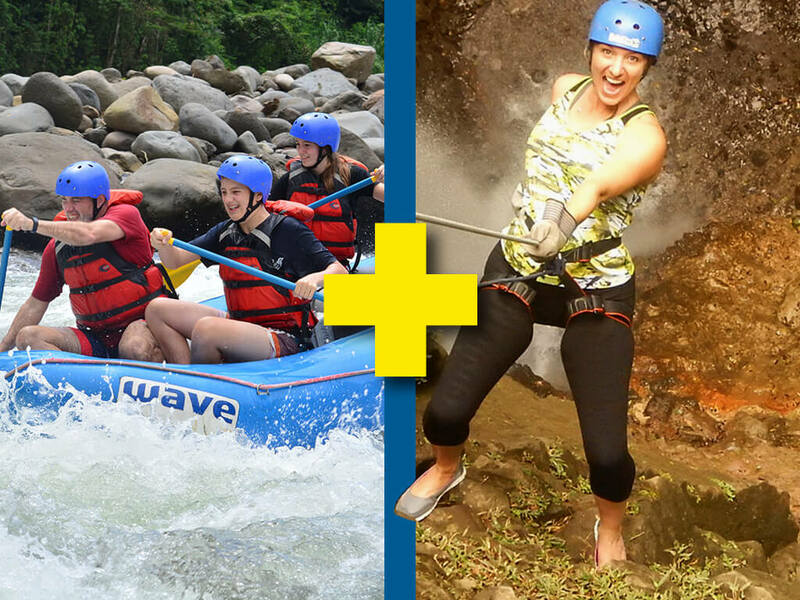 Full adrenaline Rafting and Waterfall Rappelling Adventure Combo in Arenal is sure to be the highlight of your Costa Rica Holiday. Start this family friendly tour with a 30 minute trek in a 4 X 4 to the outskirts of La Fortuna in the shadow of the majestic Arenal Volcano. After gearing up and a short safety briefing, the group embarks on a short hike on a trail through the tropical rainforest. Upon arrival the decent starts down the first waterfall into the spectacular canyon below. 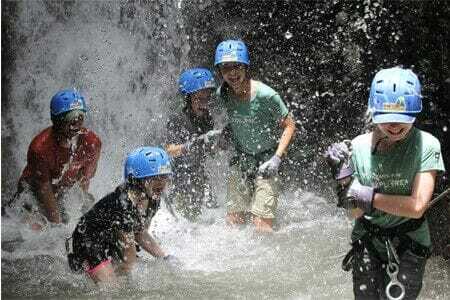 Climb the side of the canyon wall, zip-line across the canyon and rappel down to the canyon floor. After a short trek out of the canyon trail, jump back in the 4×4 vehicle waiting to head onwards to the 2nd adventure of the day – white water rafting. 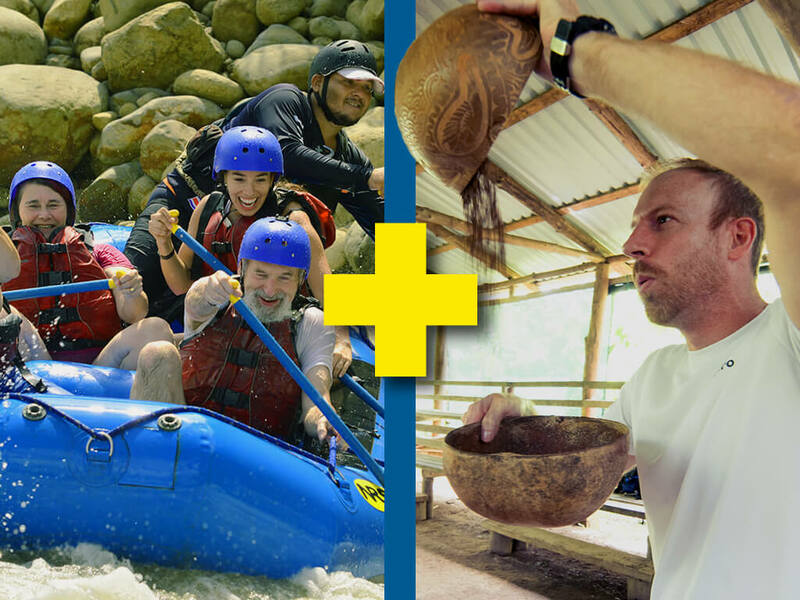 Enjoy two hours of exhilarating White Water Rafting along the beautiful and Tropical Balsa River. Enjoy a delightful swim, and reinvigorate yourself with fresh tropical fruits and a cold drink. At the end of the rafting trek you will enjoy a delicious Costa Rican lunch. This is a great trip rain or shine! 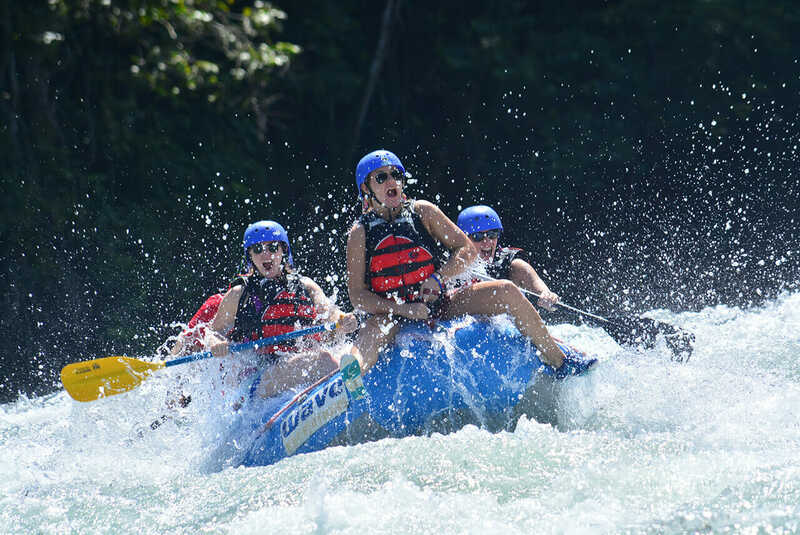 If the Costa Rica weather isn’t cooperating and you have a rainy start to your day, this adventure is perfect because you will get wet anyways! 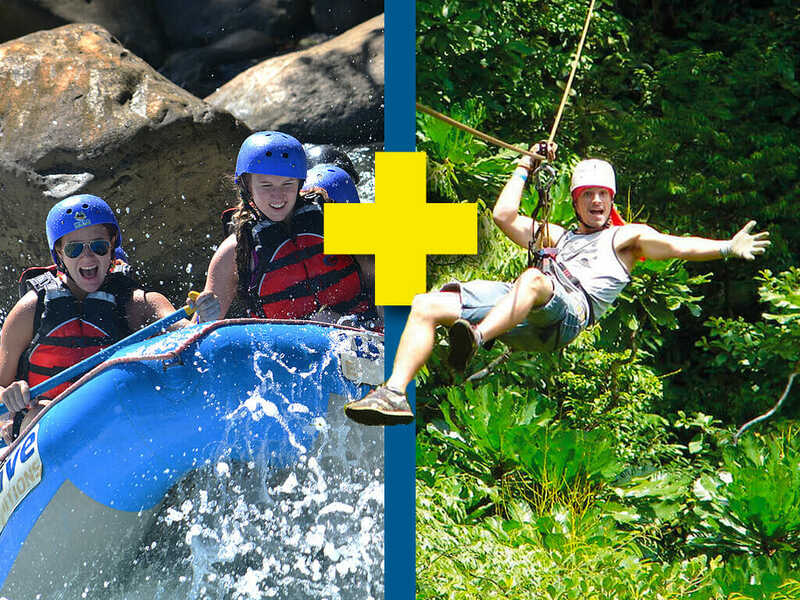 This Zip Line and White Water Rafting class III adventure Combo is designed for extrem Thrills. 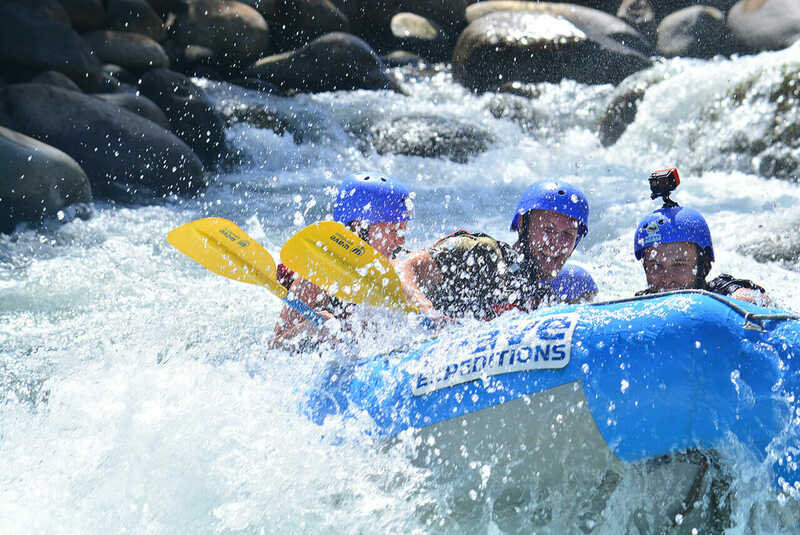 Immerse yourself in the aromas and delicious flavors of chocolate and the adrenaline of Rafting. Recommended to wear shorts, t shirt and your bathing suit beneath your clothing. No Flip Flops or bare feet. For a full refund, cancel at least 24 hours in advance of the start date of the tour.